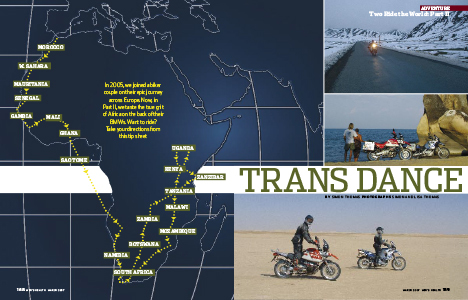 A lot has changed since we first set out to travel the world in 2003. 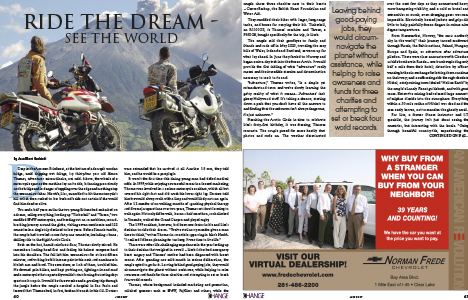 Too be honest we could never have imagined that over a decade later we would have shared our journey and our lives with millions of readers around the planet via our website, magazines and other media. 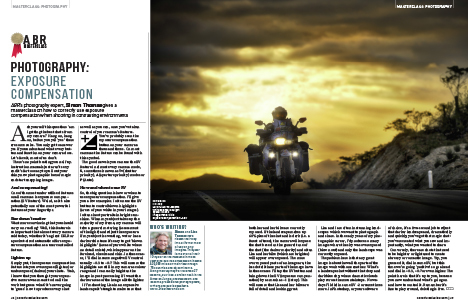 It continues to be a genuine privildge to be asked to write and contribute to the many of the worlds most respected print publications. 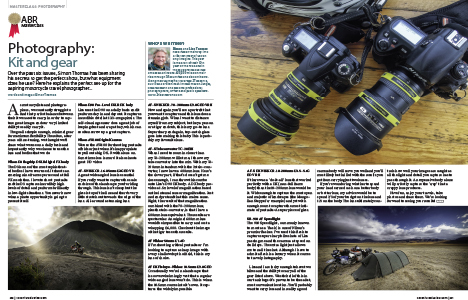 Our passion for two wheeled exploration drives us to capture, write and share our experience and the lessons that come from them, as vividly and as powerfully as possible. 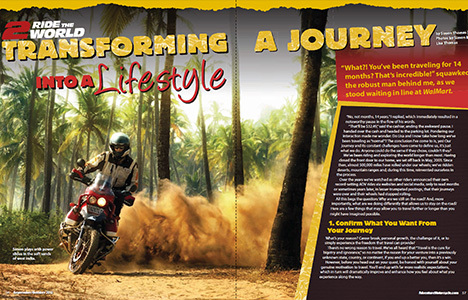 Oh, yeah, getting on the cover of a magazine is still cause for celebration and a garanteed way to slap a smile across our faces. 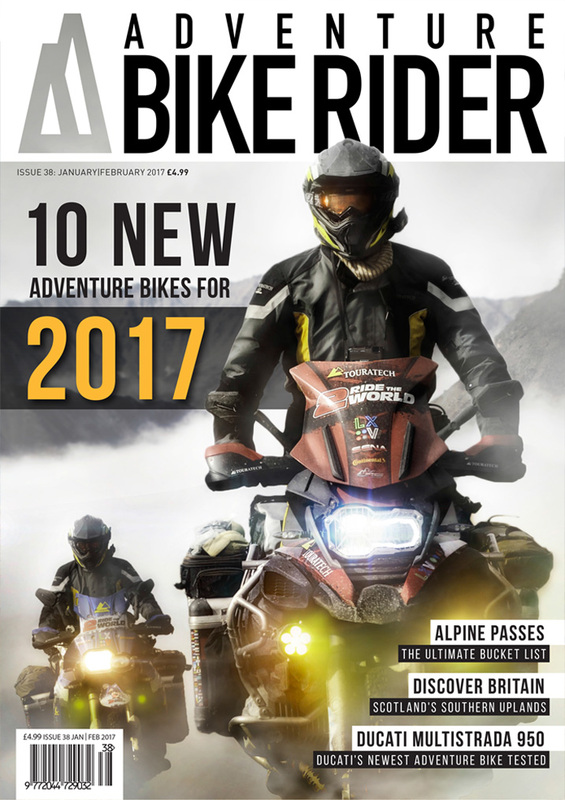 Jan/Feb 2017 - Adventure Bike Rider magazine UK. 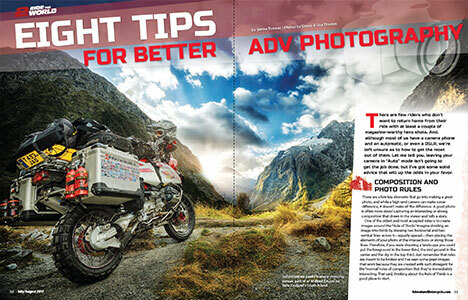 May/June 2014 - Adventure Bike Rider magazine UK. 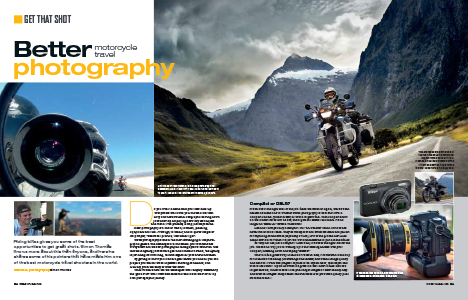 Aug/Sept 2015 - Adventure Bike Rider magazine UK. 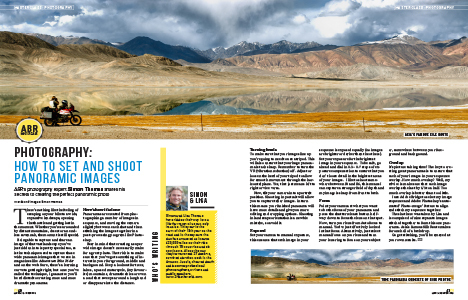 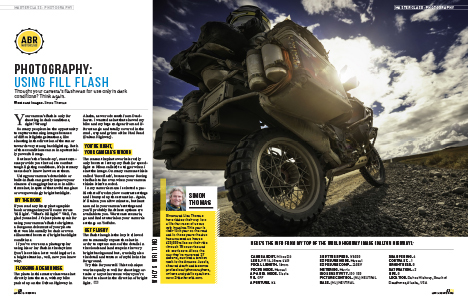 Jan/Feb 2015 - Adventure Bike Rider magazine UK. 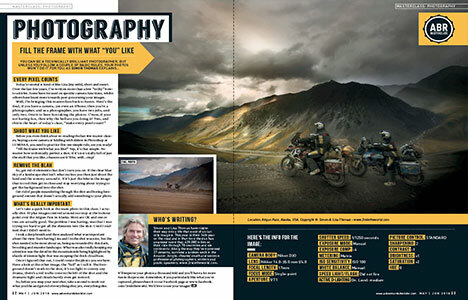 March/April - Adventure Bike Rider magazine UK. 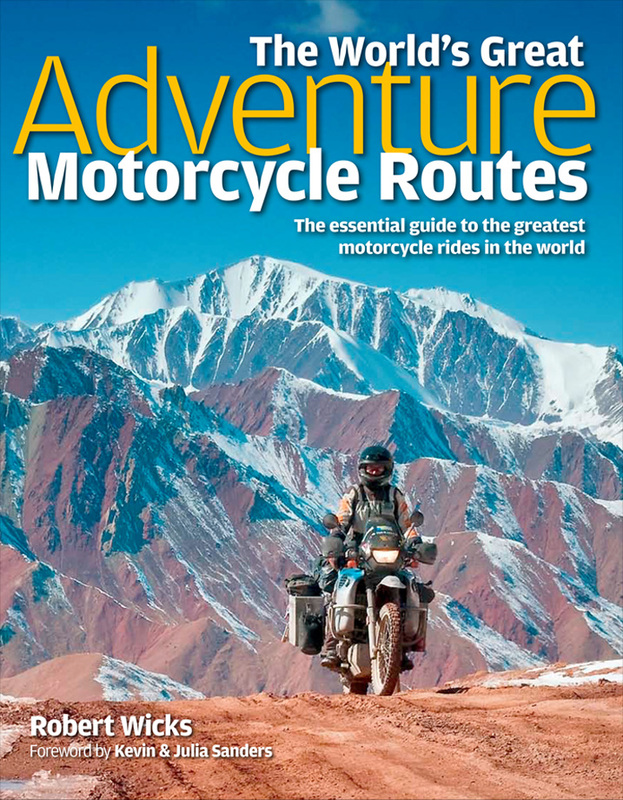 May/June 2015 - Adventure Bike Rider magazine UK. 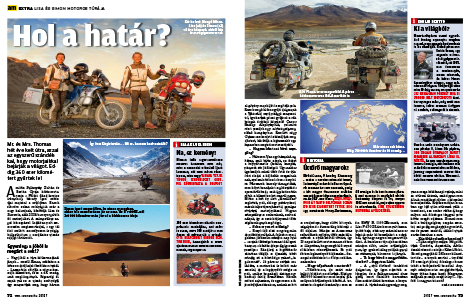 July/Aug 2015 - Adventure Bike Rider magazine UK. 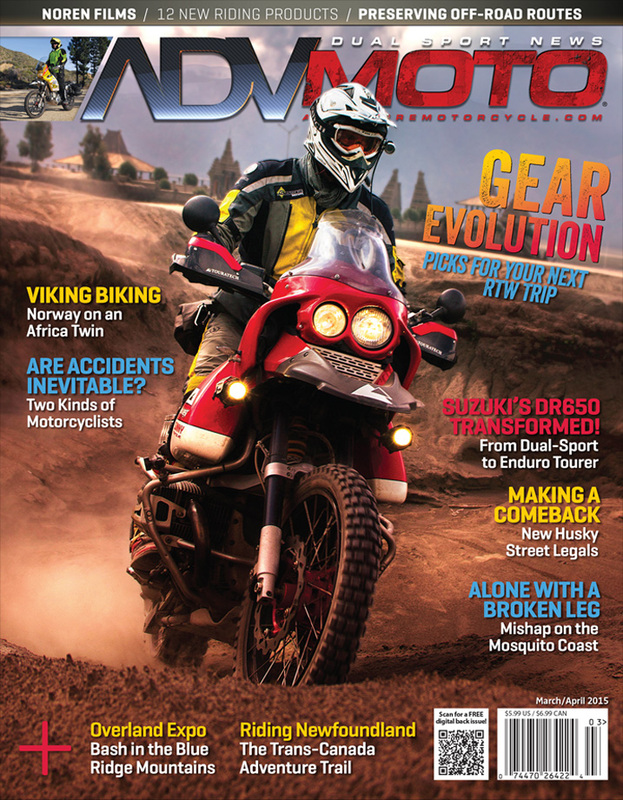 Sept/Oct 2015 - Adventure Bike Rider magazine UK. 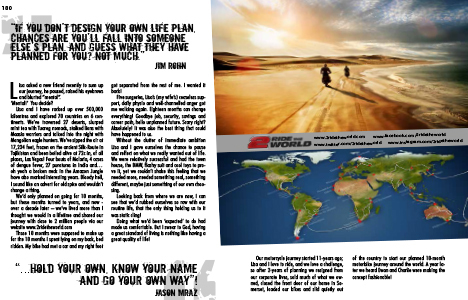 Dec/Jan 2016 - Adventure Bike Rider magazine UK. 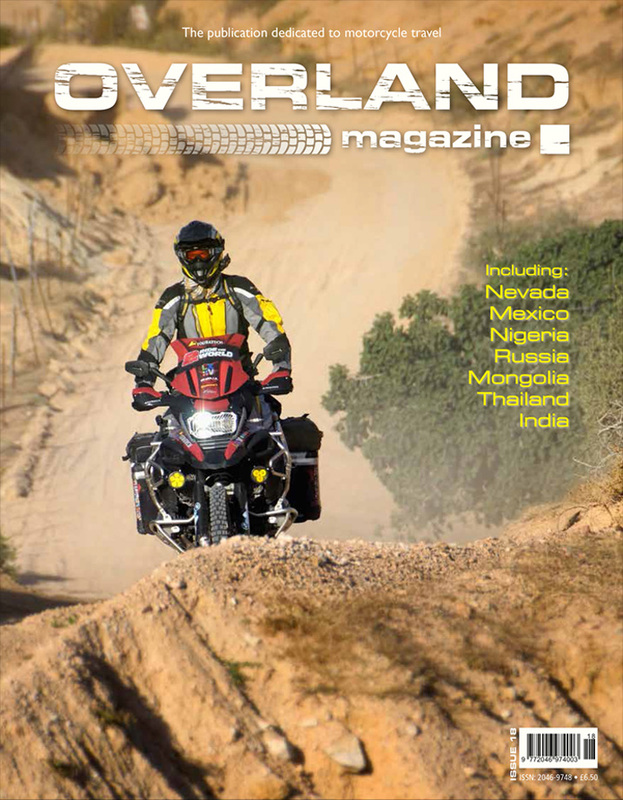 Feb/March 2016 - Adventure Bike Rider magazine UK. 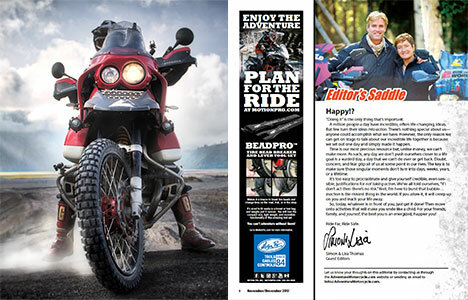 April/May 2016 - Adventure Bike Rider magazine UK. 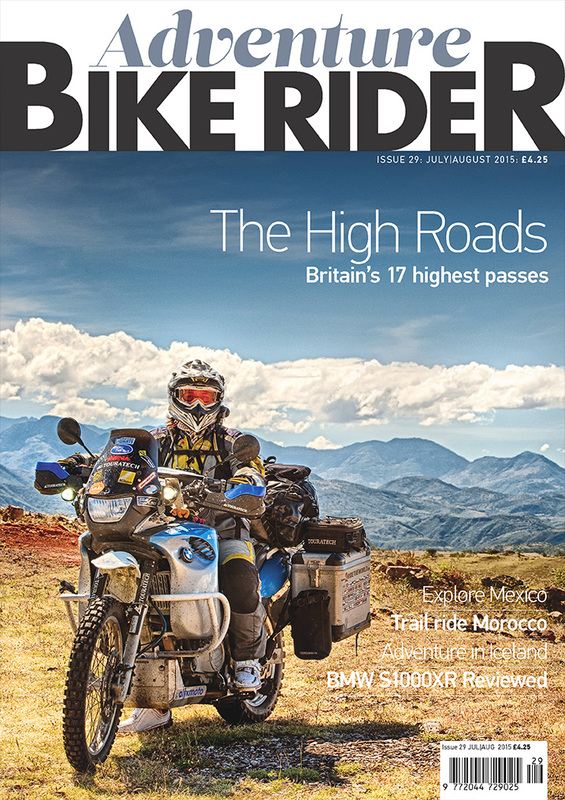 June/July 2016 - Adventure Bike Rider magazine UK. 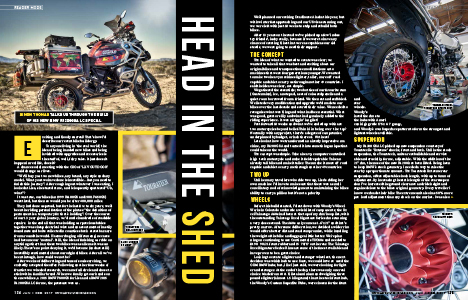 Aug/Sept 2016 - Adventure Bike Rider magazine UK. 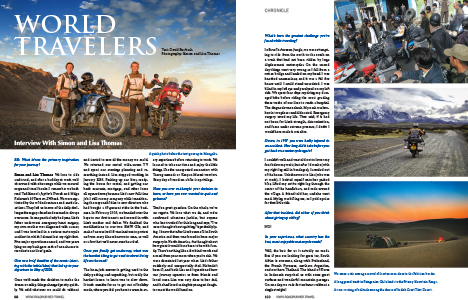 Sept/Oct 2016 - Adventure Bike Rider magazine UK. 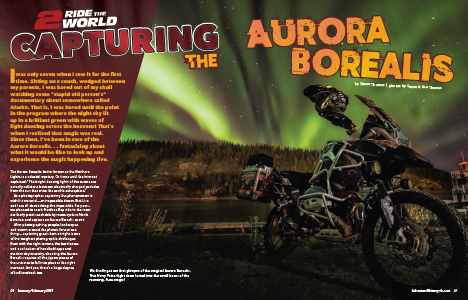 Nov/Dec 2016 - Adventure Bike Rider magazine UK. 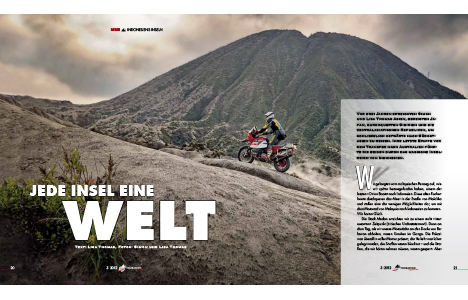 March 2018 - ADVMoto magazine US. 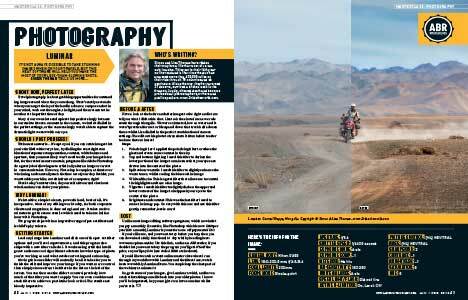 Jan 2018 - ADVMoto magazine US. 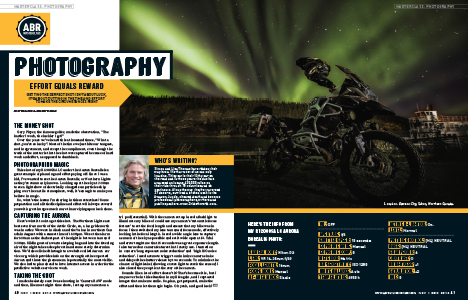 July/Aug 2017 - ADVMoto magazine US. 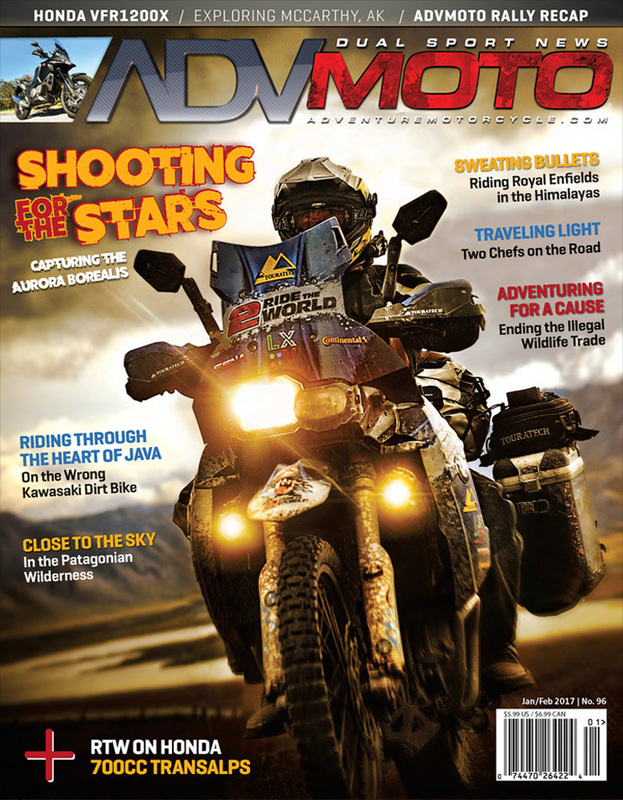 Sept/Oct 2017 - ADVMoto magazine US. 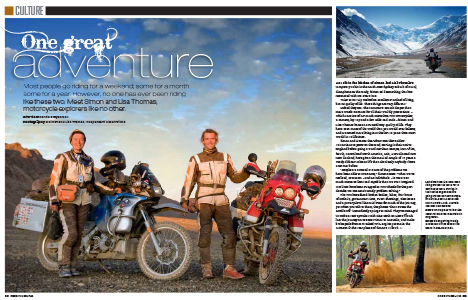 Feb 2015 - Adventure Bike Rider magazine UK. 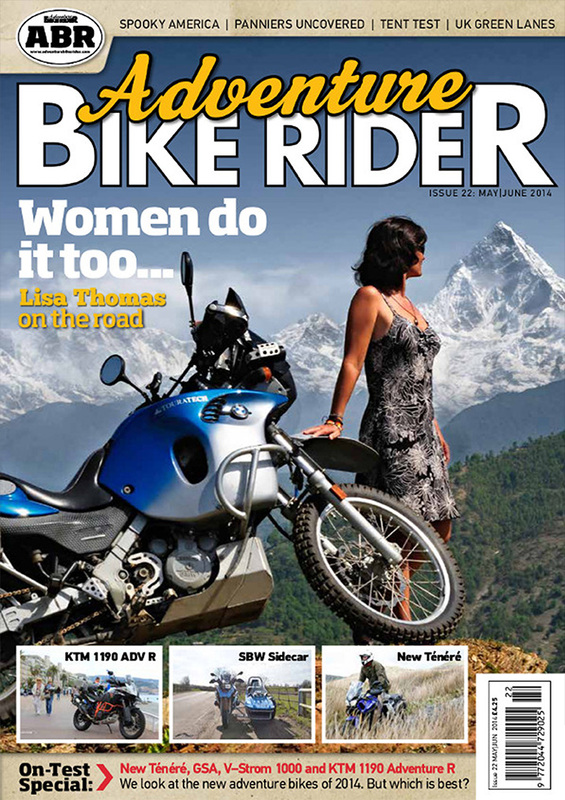 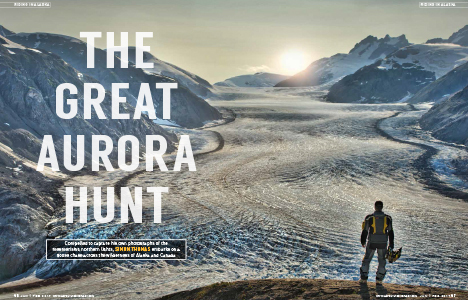 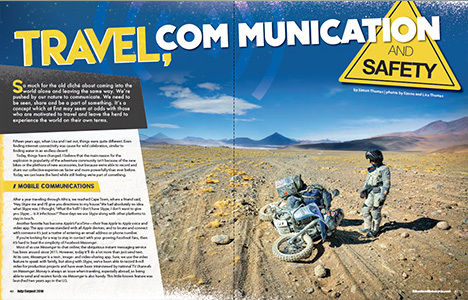 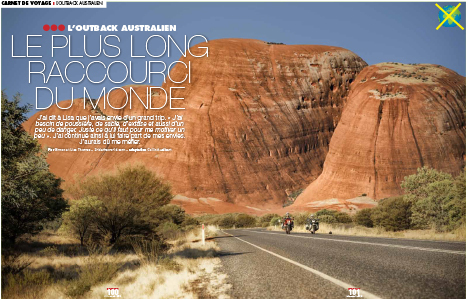 August 2014 - Adventure Bike Rider magazine UK. 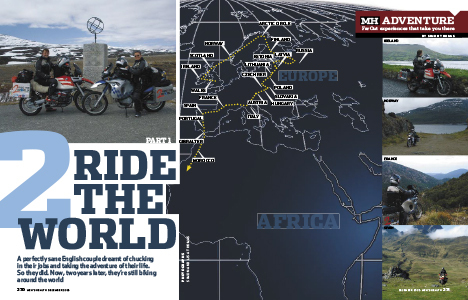 March 2007 - Adventure Bike Rider magazine UK. 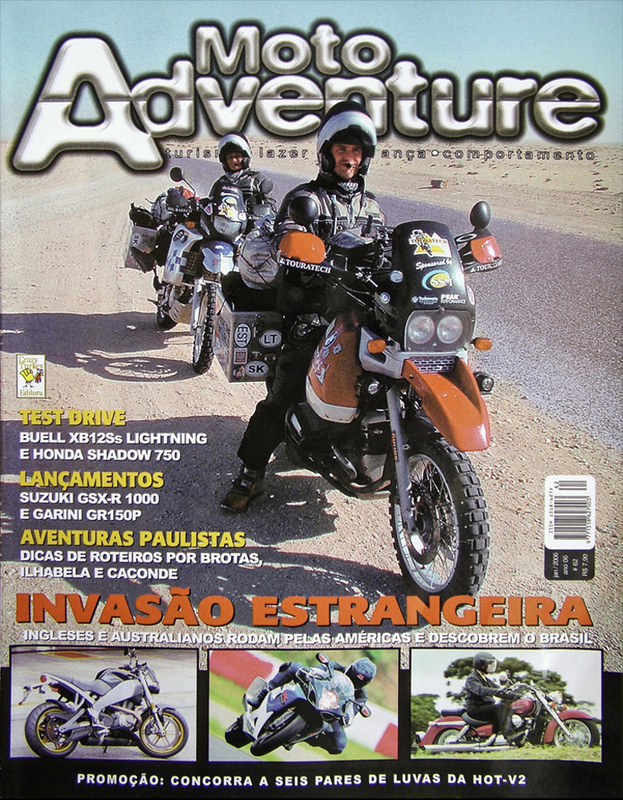 December 2005 - Adventure Bike Rider magazine UK. 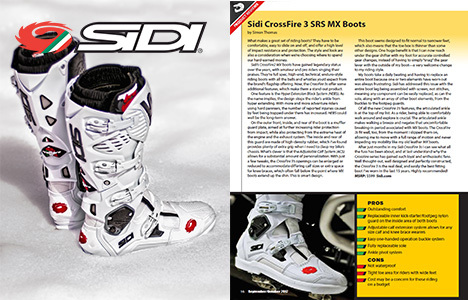 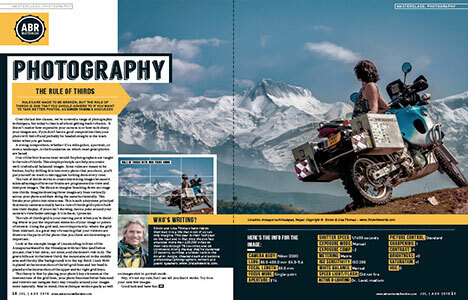 April 2013 - Adventure Bike Rider magazine UK. 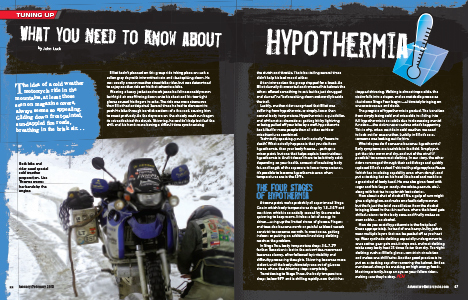 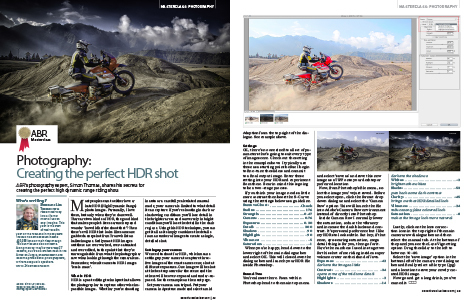 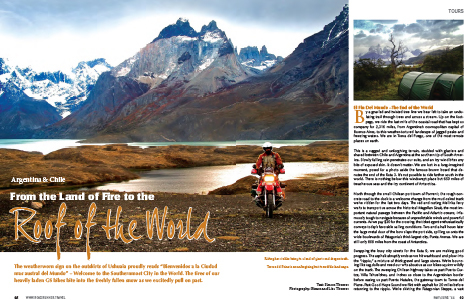 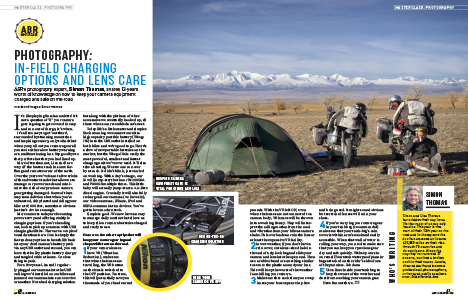 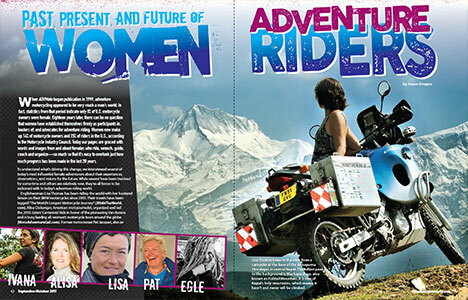 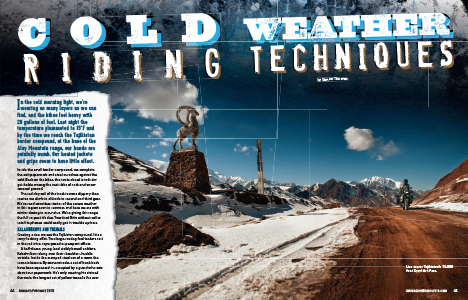 February 2014 - Adventure Bike Rider magazine UK. 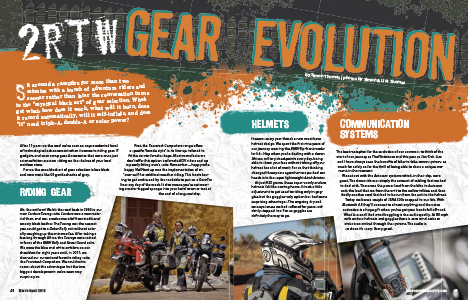 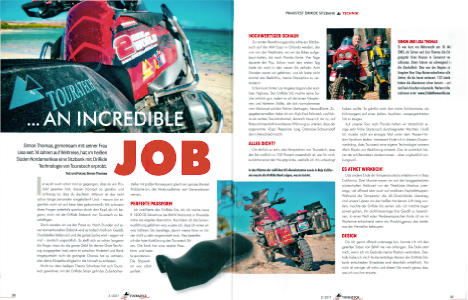 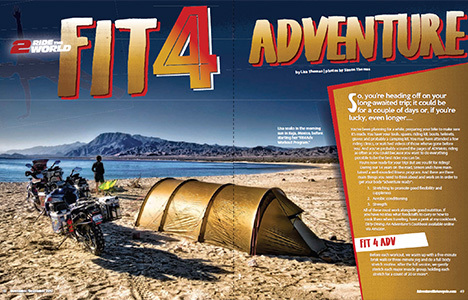 October 2014 - Adventure Bike Rider magazine UK. 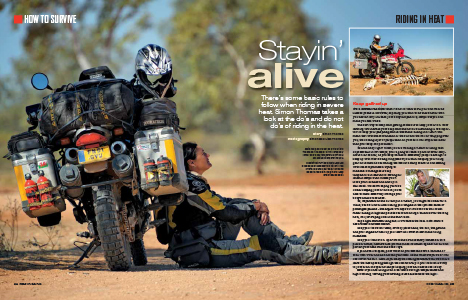 April 2010 - Adventure Bike Rider magazine UK. 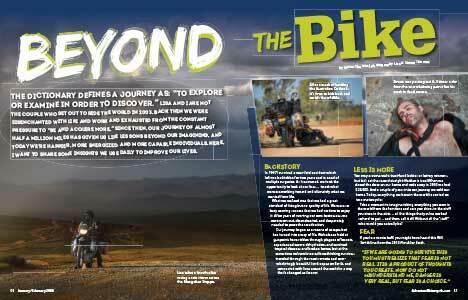 July 2014 - Adventure Bike Rider magazine UK. 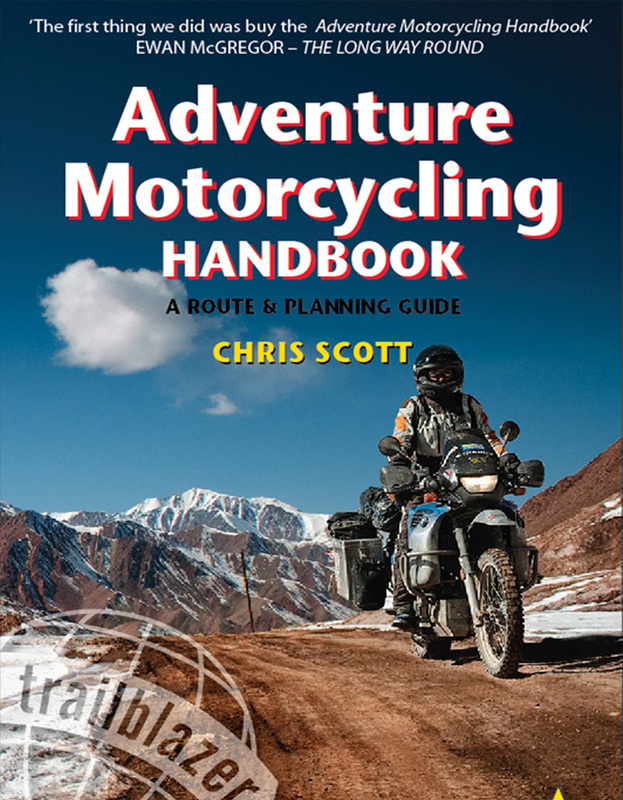 March/April 2009 - 2RTW Introduction & Bike Preperations. 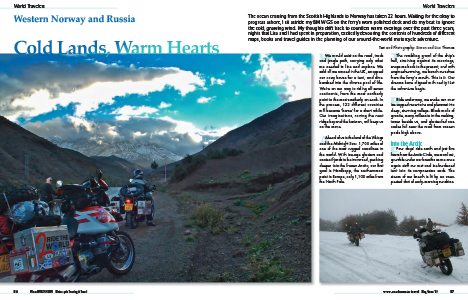 May/Jun 2009 - Norway - Cold Land Warm Hearts. 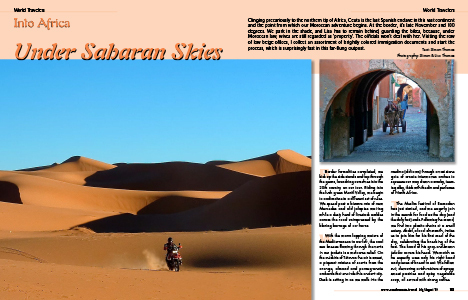 July/Aug 2009 - North Africa - Under Saharan Skies. 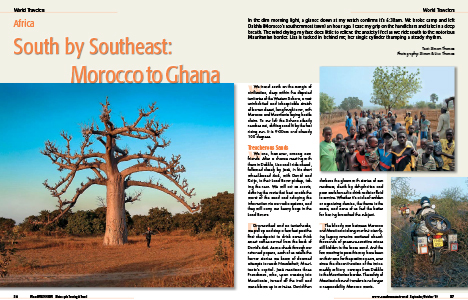 Sept/Oct 2009 - West Africa - South By Southeast, Morocco to Ghana. 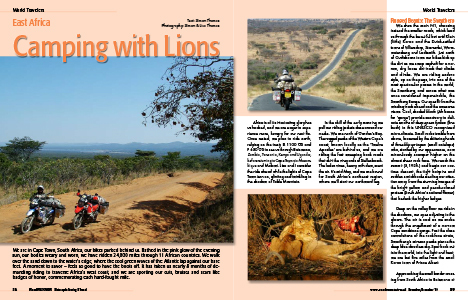 Nov/Dec 2009 - East Africa - Camping With Lions. 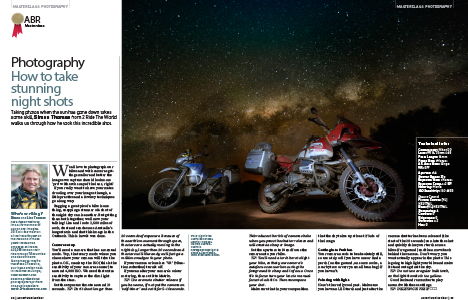 Jan/Feb 2011 - Amazon Jungle, Brazil - The Dark Side of Adventure Riding, Part 1. 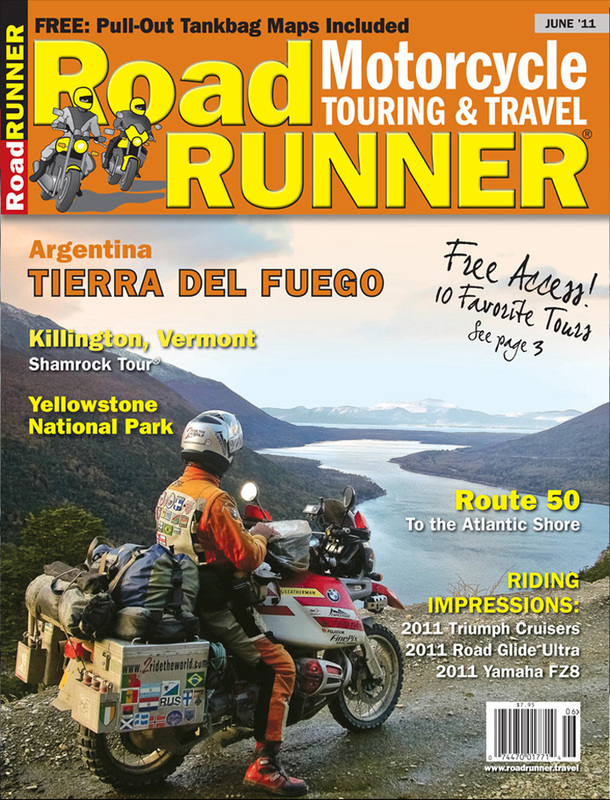 May/June 2011 - Argentina, Chile - Roof Of The World. 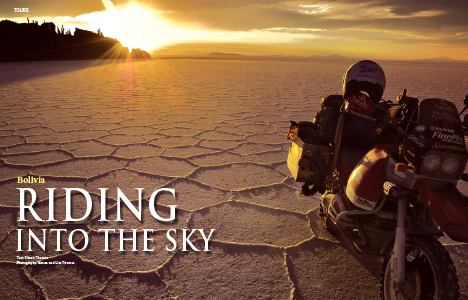 July/Aug 2011 - Bolivia - Riding Into The Sky. 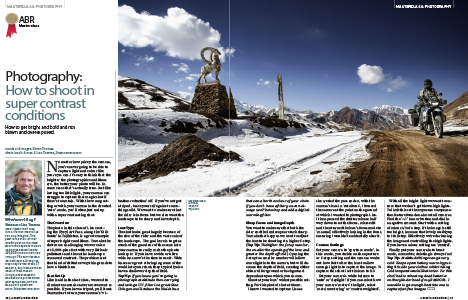 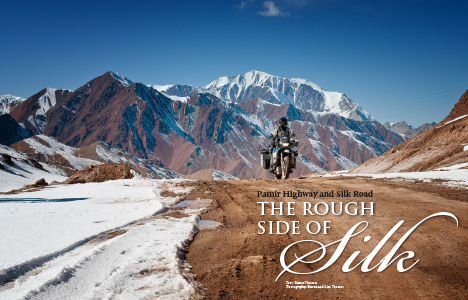 March/April 2012 - The Silk Route - The Rough Side of Silk. 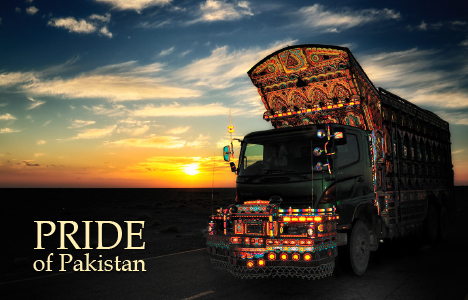 Sept/Oct 2012 - Pakistan - Pride Of Pakistan. 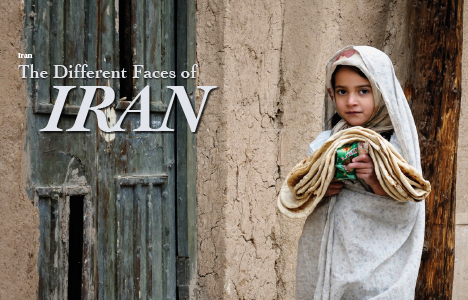 July/Aug 2012 - Iran - The Different faces of Iran. 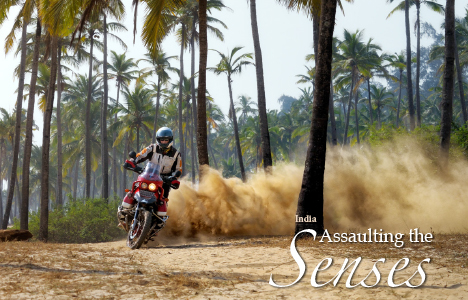 Nov/Dec 2012 - India - India Assaulting The Senses. 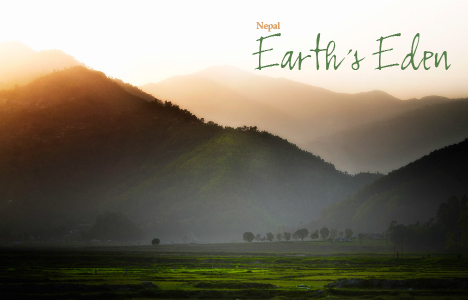 Jan/Feb 2013 - Nepal - Earth's Eden. 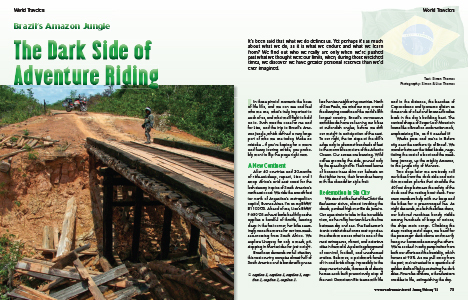 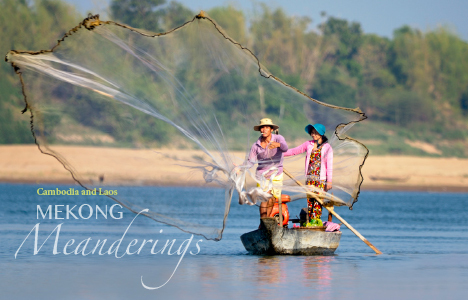 March/April 2013 - Cambodia - Mekong Meanderings. 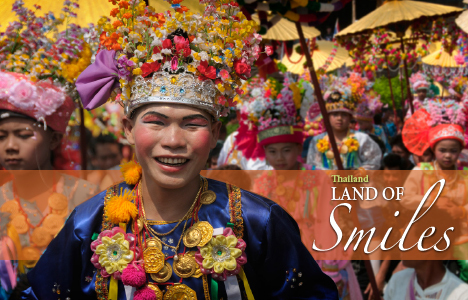 May/June 2013 - Thailand - Land of Smiles. 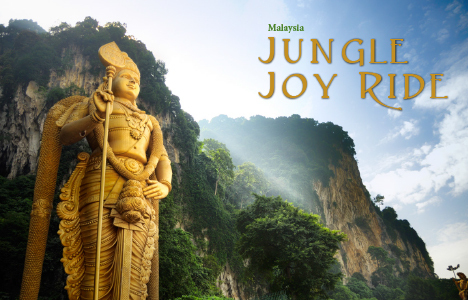 July/Aug 2013 - Malaysia - Jungle Joy Ride. 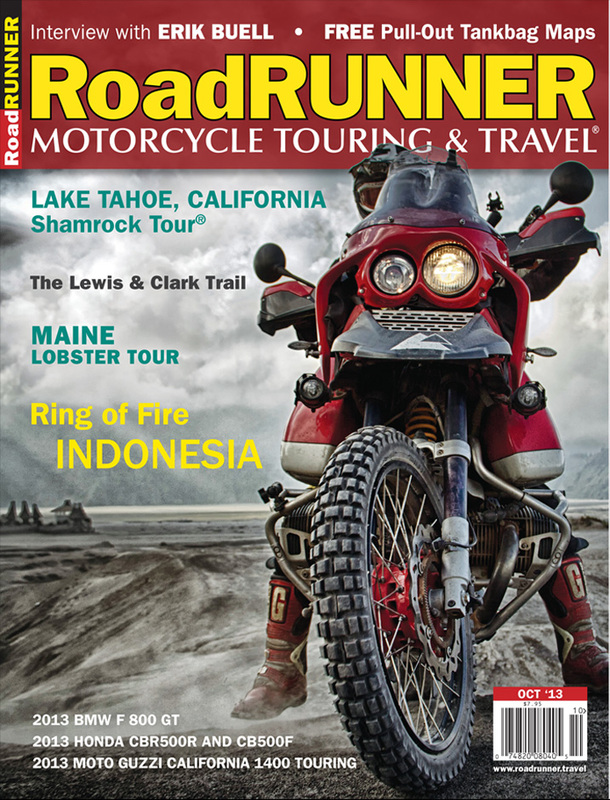 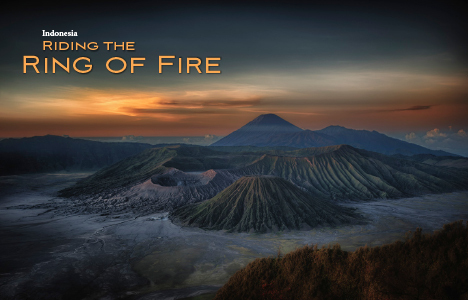 Sept/Oct 2013 - Indonesia - Riding The Ring Of Fire. 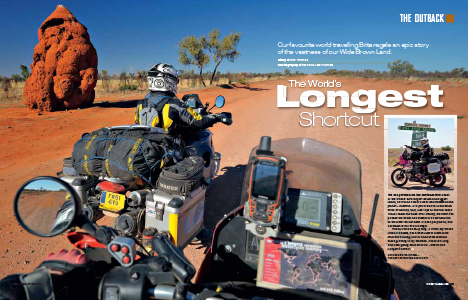 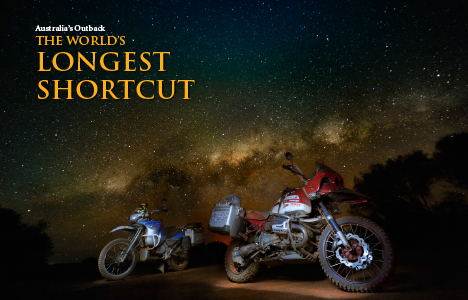 Nov/Dec 2013 - Australia - The World's Longest Shortcut. 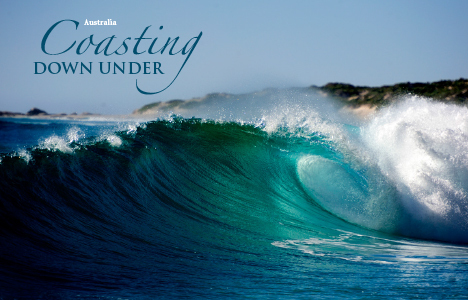 Jan/Feb 2014 - Australia - Coasting Down Under. 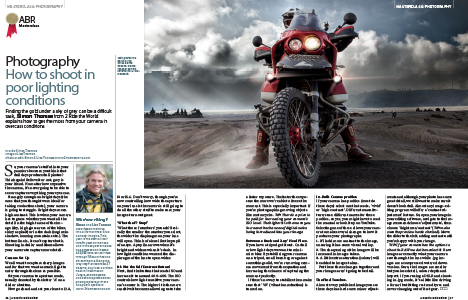 2015 - Chroncile - Interview. 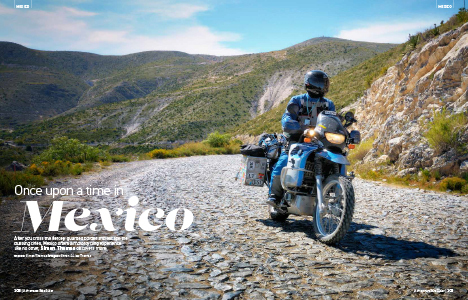 2018 - Travel Time Magazine. 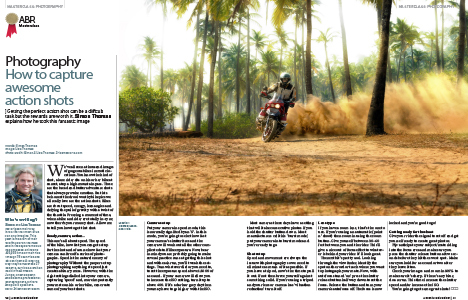 2016 - Travel Time Magazine. 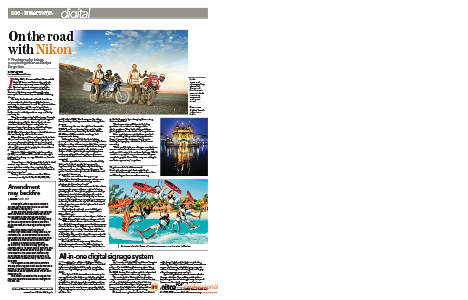 July 2011 - The Sun - Malaysian National Paper. 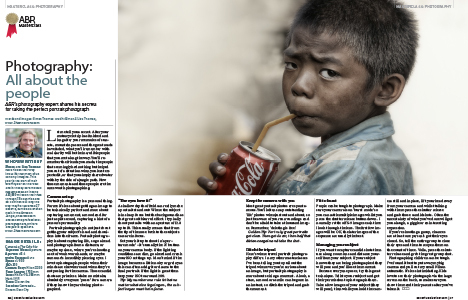 February 2011 - Brunch Magazine - Thailand. 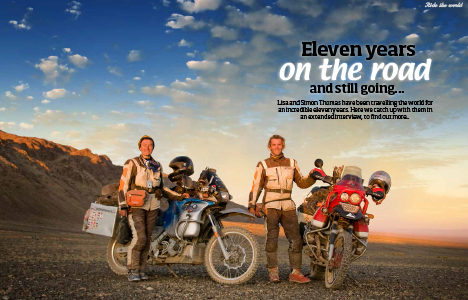 ACAST.com: Lisa & Simon Thomas - Motorcycle Adventurers - Beyond the Point of No Return? 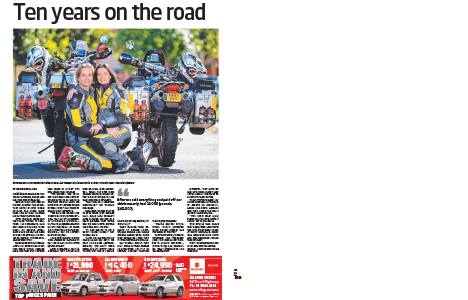 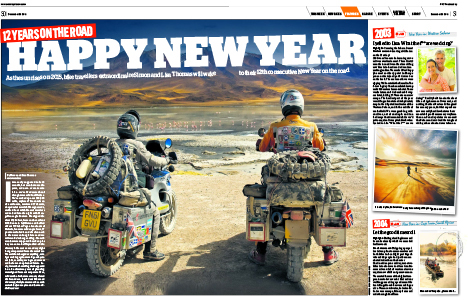 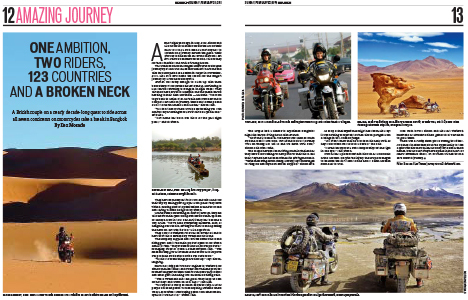 wiltsglosstandard.co.uk: Cirencester man and his wife...motorcycle journey. 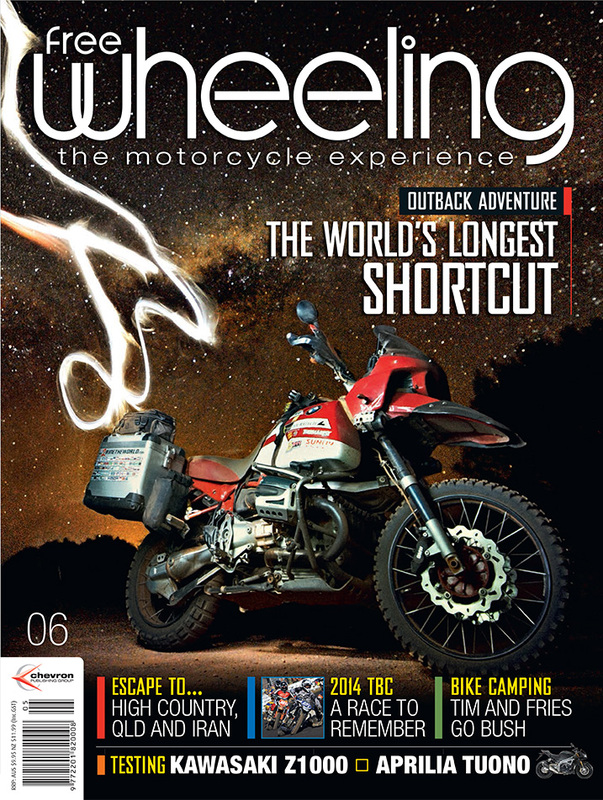 brake-magazine.com: NEWSWORTHY – Are the the two coolest BMW GS's ever?